Seminar on "Understanding property financing and TDSR framework"
Want to better understand how banks approve housing loans and how best to secure property financing under the Total Debt Servicing Ratio (TDSR) framework? Then head on down to the education seminar organized by Property Club Singapore this Sunday! Time : 2.30 p.m. – 5.00 p.m.
Go to http://www.propertyclubsg.com/events/property-financing-and-tdsr-framework-education-seminar/ for more details about the seminar and registration. 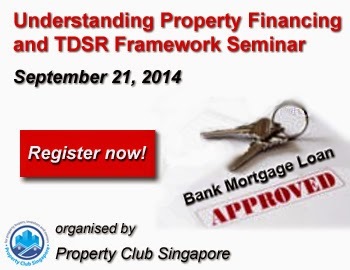 No Comment to " Seminar on "Understanding property financing and TDSR framework" "